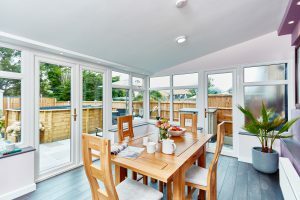 It’s a complaint we hear all too often – my conservatory is too hot in the summer and too cold in the winter. So does that mean this is just an issue all conservatory owners are destined to face, and we should just resign ourselves now? Not if Anglian has anything to say about it. Our solution? 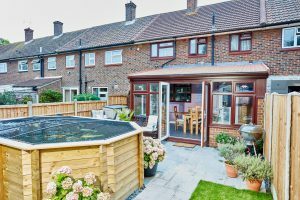 A solid roof replacement, or building a conservatory with a solid roof from scratch. 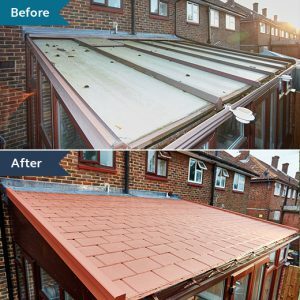 The Childs family had the ever-familiar conservatory problem, and decided to swap their old polycarbonate roof for a solid one in our deep terra brick shade. 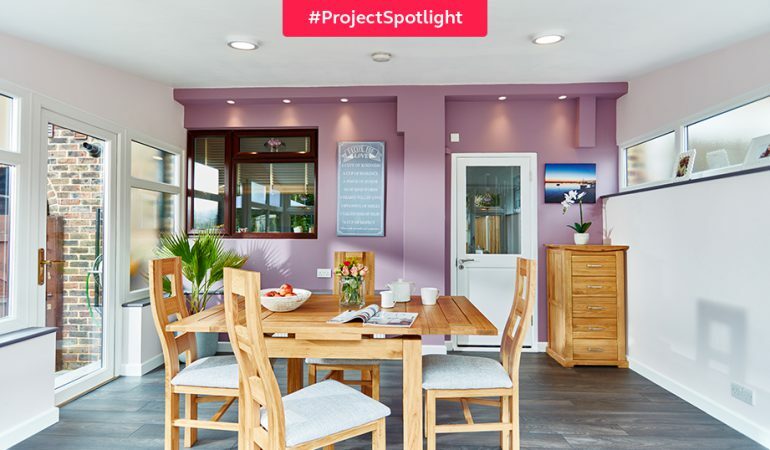 Now, their space has been transformed into one that’s not only comfortable, but that can be enjoyed all year round. Because nobody wants to deal with a room they can’t touch two seasons of the year. And now, they don’t have to. Q: Please can you explain why you decided to have your existing conservatory roof replaced with a new tiled roof? A: [Our conservatory was] too hot in the summer and too cold in the winter. After 20 years’ wear and tear, it needed work doing to it. A: Yes, but Anglian gave a far better solution. 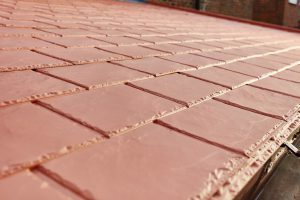 Q: Before contacting Anglian, were you aware of the tiled roof option that we offer? If so, how? A: Yes, via the internet. A: The solid roof option instead of a like-for-like replacement, to give an all-year use. A: Greatly. It is now a room to be used. A: Yes, and will do throughout the year. Want to learn more about our solid roof options? Download our free brochure here and get to planning your conservatory transformation today.